Imagine a typical comic book admirer: teen boy in a hoody, jeans and a t-shirt with an image of a superhero, right? At least, plenty of users of https://newtonessay.com, support this point of view., Surprisingly enough, among the leaders of the most frequently bought kinds of manga today is shojo – manga for girls. It is a Japanese word “a girl” and you can find plenty of manga where the target audience is girls. The bestselling storylines of such manga are unanswered love, search for love, entering a new school, dealing with bullying, magic and girls with superpowers. The last one is often called “big eyes save the world” in the connection with the way of drawing anime eyes. 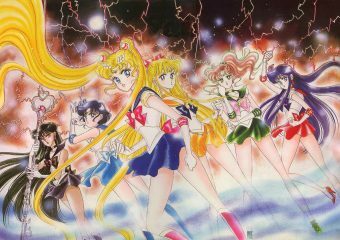 There is a 100% possibility that you’ve met Sailor Moon somehow because it is impossible to imagine the modern world without the image of Usagi Tsukino, ordinary Japanese girl who is also the reincarnation of the Moon Princess. There are 18 volumes of manga depicting how she together with her fellow Sailor Scouts protects the world from evil. Of course, this story is not the first in the genre, however, it has the perfect combination of the heroine that every girl can imagine herself in Usagi’s tracks. The role of this manga cannot be overestimated and in every top list it will receive the first place, dixi. Main heroine of this manga is often mistaken for the main character of a horror movie The Ring – and as a result, Sawako has huge problems with her romantic life. This manga is said to have the sweetest main male character. In this manga the main heroine is a victim of bullies and learns how to deal with them. She could read some tips in bullying-related essays but instead of this she befriended Cassie, who believes in monsters. Love story at its best: how to draw attention of the most popular boy in school and become a magician. A story of self-made show-biz star betrayed by her partner. This manga is all about being physically different and not meeting the society standards and ways how main heroes deal with it. Love story of once rich and successful Sumi and wealthy and handsome Soichiro – classic Cinderella story that may relish anyone who loves stories of this kind. It is a famous manga that combines features of romance and horror. The main heroine Yuki Cross falls in love with a vampire Kaname Kuran and both of them are studying in the Cross Academy where humans and vampires live together. Top “harem” style manga – when a main heroine is surrounded by many knockouts striving for her. Here two best friends Miaka and Yui make back to the Ancient China and as priestesses lead two rival groups of male magicians to conquer the empire. A story about orphan Najika, who loves to cook and becomes a student of Seika Academy where teens try to master culinary magic. There she searches for her saver and finds two of them.